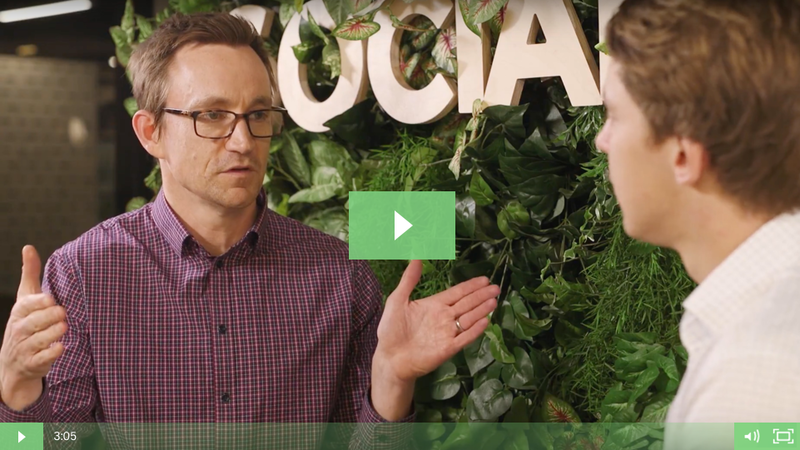 Michael Bird and Nik Sproal of Social Garden discuss reducing fallover through data integration and how developers and real estate agents can use this to create competitive advantage. If you’d like to find out how well your data integration is facilitating the customer experience, test out our quiz and let us know if you have any questions. Take the free quiz here. Mike: Hi, my name’s Mike Bird. I’m the CEO here at Social Garden with our property director, Nik Sproal. Today we’re talking about data integration and how developers and real estate agents can use it to drive competitive advantage through things like reduced fall over risk and post deposit conversion. So, Nik, how can developers and real estate agents use data integration as a tool to drive those competitive advantages? Nik: Look, if you think about it Mike, the key thing that’s going to drive that is the single source of the truth on your audience. If you have all the right data points and all the right information about where each customers is on their journey, and a really detailed customer experience that has key handover points at each stage of the funnel. Ultimately, what you’re going to do is proactively identify fallover problems, you’re going to be able to see how each audience is passing through the funnel and ultimately what’s going come out of that is a much more streamlined sales process that drives better revenue. Mike: Yeah I mean for us, if we learned anything so far in this whole sales/marketing/digital piece is that leakage in the funnel can occur at all different points for our clients. Whether it’s a reduction of leads or whether it's some stage in that process where, for example, marketing isn’t handing the leads across to sales at the right time — whether it’s too early or too late. And it really comes down to the way that the analytics is structured and the way the data is integrated, which ultimately determines where the the leakages in that funnel occur. Nik: Yeah, I think equally there’s a point where if the salesperson has done an amazing job of nurturing a prospect through to a deposit, and then when they’re handed over post deposit often there’s a keypoint where there’s an issue there. So, it’s equally about data feeding back from other platforms into a CRM. For example, a construction platform coming back to the CRM to make sure that in that customer’s life cycle. All the data is served in one spot so they can see where all those issues are occurring and not having that gap between one platform to the other. Mike: And we see, time and time again, that that speed to call is such an important indicator for success as to whether that lead is going to go and convert so that’s really a good example of the data integration piece and how they influences the sales process. Nik: Absolutely, I mean, I guess now we’re living in an environment where there’s multiple channels to market and people inquiring at all different stages in the buyer cycle. So, there’s a lot of volume of leads coming through and if you don’t have system in place and the data integrity in place, so many of those are just going to fall over naturally because you’re not actually able to service them correctly. Mike: And when you have friction there, where systems are not integrated, it creates a real barrier for the customers to have a smooth journey through. Nik: And I think the key pain point off the back of that, is if that process isn’t working correctly, ultimately what happens is a bad customer review, which actually reflects on all those people doing their prospecting who are looking at you on those product review platforms, so it’s so critical to get that right. Mike: Yeah totally. So we’ve made a quiz today that outlines and give you some insight in terms of where we're at in terms of data integration road map. Test out the quiz and give us a call if you’ve got any questions. Cheers!